Good Hotel has formed a partnership with Booking.com to provide an easy way to help make the world a better place – with £5 from each booking donated to the hotel’s charity partners. 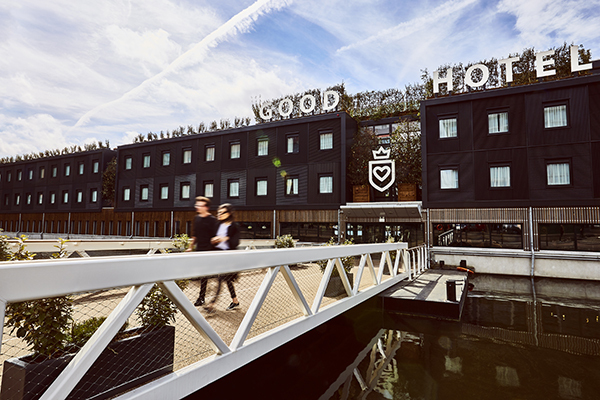 Good Hotel is a social business – giving back to the community is at the core of everything it does. Even when you choose to book a room other than the Good Hotel you can still do good. All you have to do is click the bespoke link. Best rates are guaranteed and it works exactly like the normal Booking.com site, except for the fact that Booking.com will make a charitable donation on your behalf. For further information visit the Good Hotel booking page.